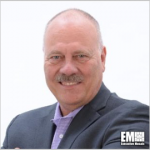 Randy James, formerly vice president of cyber at Science Applications International Corp. (NYSE: SAIC), has joined ICF (Nasdaq: ICFI) as senior VP and general manager of the enterprise cybersecurity and resilience business. James will oversee ICF’s strategy to help organizations counter cyber threats without causing disruption to growth efforts, the company said Tuesday. “Randy is one of the nation’s most respected cybersecurity and resilience leaders and is an incredible addition to the ICF team,” said Ellen Glover, executive VP of transformation and resilience solutions at ICF. Prior to SAIC, James worked for at least three years at CSRA (NYSE: CSRA) as a professional services executive and GM of the firm’s cyber and network security division. The 30-year information technology industry veteran served in several leadership roles in the areas of network architecture and cybersecurity at Northrop Grumman (NYSE: NOC) for five years. He also held senior executive positions at various technology firms such as VeriSign (Nasdaq: VRSN), Cisco Systems (Nasdaq: CSCO), Verizon (NYSE: VZ) and UUNET.